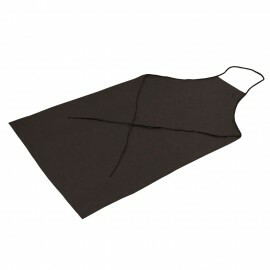 Your price: 138,08 € tax incl. By buying this product you can collect up to 359 loyalty points. 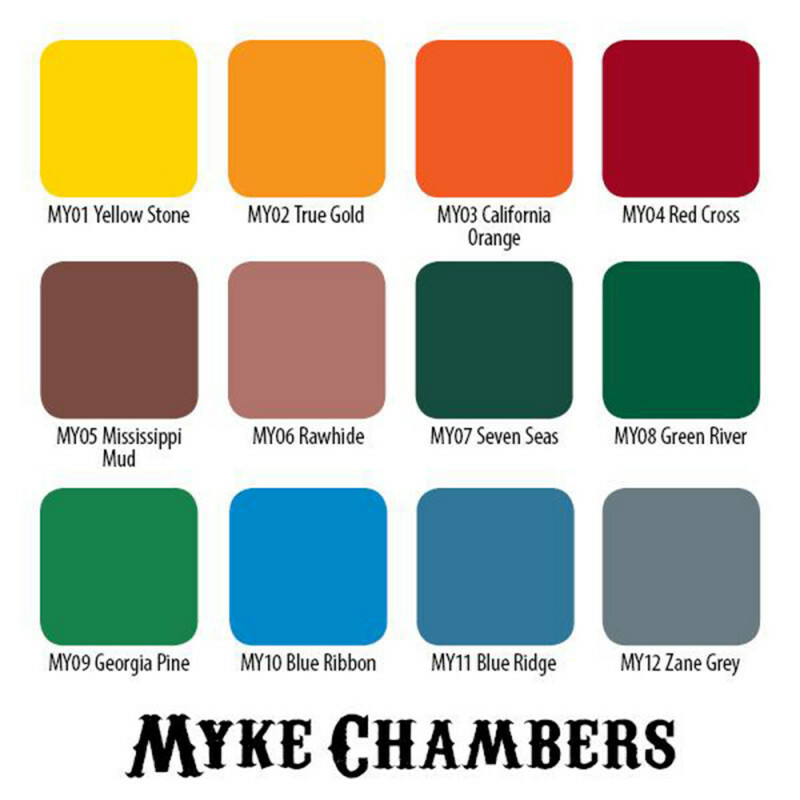 Eternal Ink - Myke Chambers Set (12x 1 oz). Myke Chambers has evolved a unique brand of Traditional Americana tattoo art. His art is instantly recognizable with rich, saturated hues and strong symbolic images inked in his unmistakable style. Presented here are 12 of Myke Chambers' favorite hues mixed perfectly to Eternal Ink's high standards. 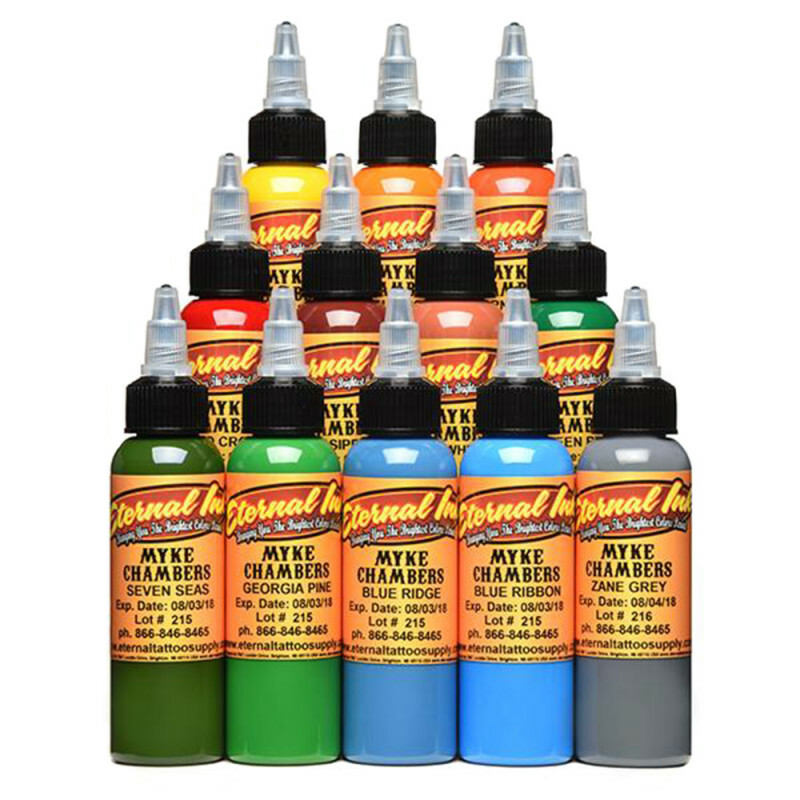 This set simplifies the ink selection process with unique hues that will create the high impact color and contrast seen in Chamber's tattoo art.